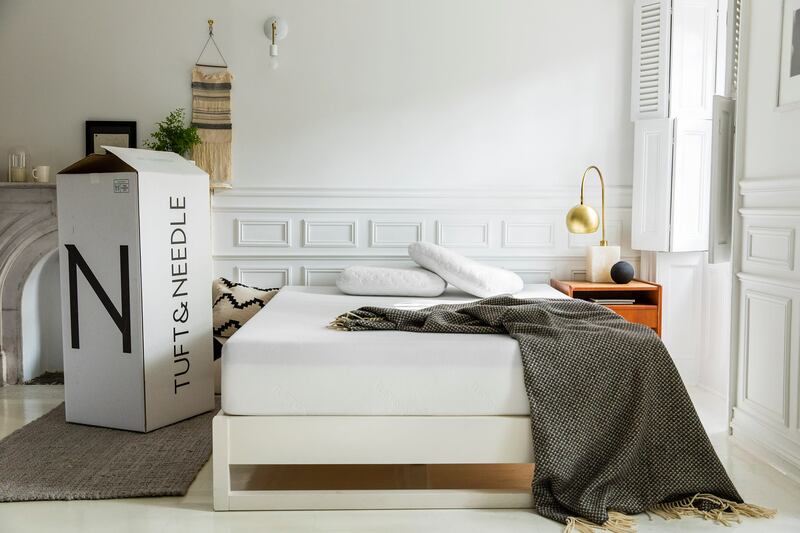 Tuft & Needle is among the industry’s group of online direct-to-consumer mattress brands, and is known for its proprietary adaptable T&N foam that makes up these two-layer polyurethane foam mattresses. Tuft & Needle claims to make a “universal comfort” mattress, meaning one size fits all for sleepers of all shapes and sizes. Durability: Tuft & Needle’s mattress is designed with adaptive foam that reacts well to sleepers, no matter the shape, size, or weight. The foam conforms to the sleeper’s body to provide customized comfort, and as more pressure is applied, the mattress reacts and provides even more support. Reputation: Customers have shared positive comments about the company’s customer service, online ordering system, speed of shipping, and installation/setup. In addition, Tuft & Needle has been featured by a number of national publications like Fortune, Entrepreneur, Forbes, The New York Times, and Recode. 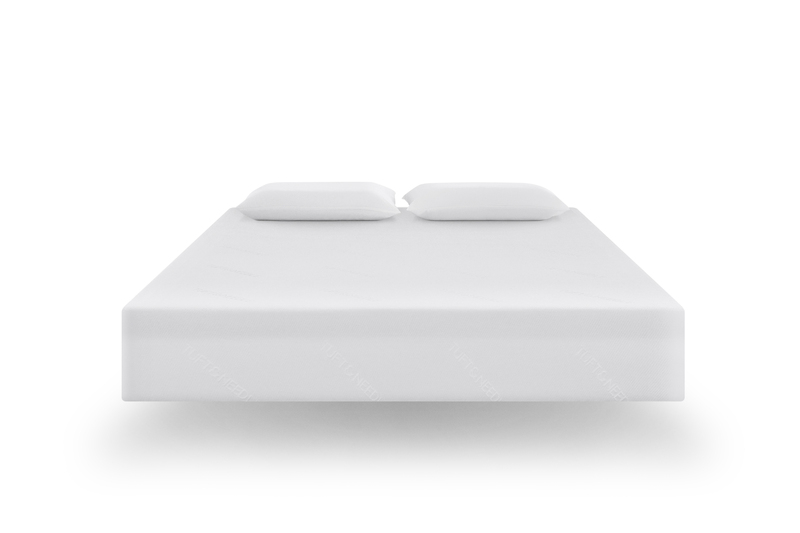 Motion isolation: These mattresses perform well in absorbing motion, which is an important feature for sleepers who change positions or who sleep with a partner. Customers also report they are quiet mattresses. Price: For its high level of durability, Tuft & Needle’s mattress is a value as compared to some other more expensive foam mattress models. The price point for Tuft & Needle’s mattress is an advantage. Edge support: This mattress does sink down farther along the edges of the mattress. The support is really focused on the center or core of the mattress. Firmness: Tuft & Needle mattresses are medium to medium-firm to firm, and for some sleepers they could be too firm. For example, side sleepers may find this mattress too firm. Over time, however, these mattresses do soften. Headquartered in Phoenix, Tuft & Needle was founded in 2012 by John Thomas Marino and Daehee Park. The two owners are former software engineers from Silicon Valley. Similar mattress-buying experiences brought them together and inspired them to launch Tuft & Needle. Their goal is to offer quality, fairness, transparency, and reasonable prices to consumers. The company does not have any investors, and is funded 100 percent by the two owners. Its competition is found in other online mattress brands like BedInABox, Leesa, and GhostBed, among others. 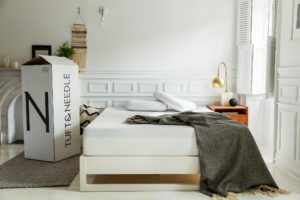 The Tuft & Needle brand makes one mattress model and prices it much lower than many mattresses available in stores. The company reports that with retail markups customers end up paying anywhere from six to 12 times more than Tuft & Needle’s price, which does not include any markups, commissions, or wholesaler profits. 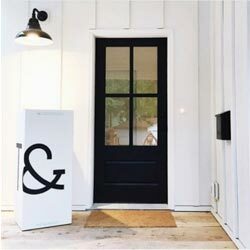 Tuft & Needle garnered an A+ through the Better Business Bureau (BBB). More detailed information about BBB and its mission is available here. Tuft & Needle is known for taking customer feedback into account when making enhancements or adjustments to its products. 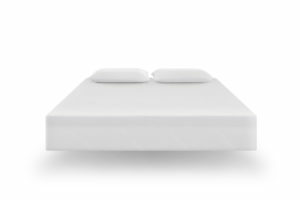 The Tuft & Needle 10-inch mattress model is made of several different proprietary foams and is available in a variety of sizes from Twin to California King. Its foam layers provide both support and conforming pressure relief for sleepers of all weights and shapes. The adaptive foam is designed to adjust to each individual sleeper. Comfort: A 7-inch high-density poly foam support core that serves as a structured foundation to help keep the spine and body aligned. The comfort layer was engineered based on customer feedback, which makes it unique as compared to other brands. Support: A support core is paired with a 3-inch high-density foam comfort layer that offers excellent pressure relief. The supportive base layer is also unique to Tuft & Needle because it provides more support with the more pressure that is applied. Cover: A simple and durable fabric cover made with a Polyester and nylon blend that is also used to make clothing and stay dry. The mattress is designed to be compatible with most bed frames and foundations, such as platform, slated, and adjustable frames. The poly foam and Tuft & Needle mattresses are made in California and the foam is certified by CertiPUR-US®. Tuft & Needle offers a free 100-night sleep trial. The company works with customers to help set up charity donations for mattresses that are returned. Once the company receives notification of the donation, they will refund the purchase. Shipping is free for Tuft & Needle mattresses in most states, but there is a cost for mattresses shipped to Hawaii and Alaska. Tuft & Needle does not offer expedited shipping, since all shipments are sent via FedEx Ground. Standard shipping times may vary, but it usually takes between 2 and 5 business days from the time the order is placed. For Hawaii and Alaska, shipping usually takes about 7 business days. The mattresses are rolled, compressed, vacuum-packed, and packaged inside a box that is shipped directly to a consumer’s door (box size dimensions vary per mattress size). Watch the video below to see the unboxing of a Tuft & Needle Mattress. The mattress will expand fully after several hours after installation. Tuft & Needle offers a 10-year non-prorated warranty. Tuft & Needle’s mattress performs well in this category with very little motion transfer. The T&N Adaptive foam was designed to absorb movements, so that if a sleeper moves to get out of bed or changes positions, the other sleeper feels minimal movement. 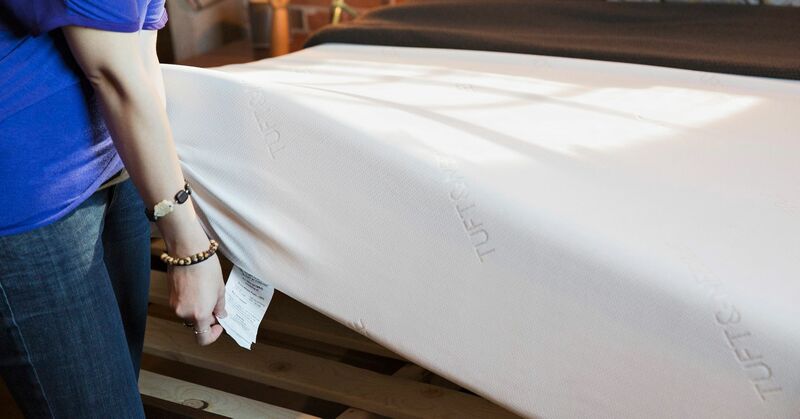 Tuft & Needle’s mattress does sink down around the edges as weight and pressure is applied. Therefore, when a person sits down on the edge of the bed, the mattress material does sink down further as compared to when sleepers are sleeping on the center portion of the mattress. Poly foam mattresses are known for their long lifespans because of the durable nature of the foam material used. The high-density foam ages well and these mattresses usually last between 6 to 10 years. The longevity will depend on how well the mattress is cared for, however, and that sleepers use it as directed. On a scale of 1 to 10, 10 being the firmest, Tuft & Needle mattresses are medium to medium firm and would range from 6 to 7 for the firmness level. This firmness level is recommended for most sleeping positions. The firmness level of this mattress may be considered to be too firm for the side sleeping position. Over time, the mattress will become less firm and will soften after use. Tuft & Needle claims that its materials are designed for maximum airflow to help keep sleepers cool. The proprietary foams draw heat away from the mattress. It does not have any other special cooling properties built in, like some gel cooling mattresses, but the design of the foam allows for airflow. The mattresses are designed specifically to allow airflow between layers, which is unique to Tuft & Needle as compared to mattresses by its competitors. Upon arrival, the Tuft & Needle mattress does have a chemical smell after it is manufactured. Offgassing is normal for foam mattresses, and Tuft & Needle customers generally don’t complain about a smell when they receive the mattress or after ongoing use. Tuft & Needle mattresses are fairly responsive to movement, and are not as slow to react as memory foam, and not as fast to react as latex. The have some or limited bounce, making them perform fairly well in this category. Tuft & Needle mattresses are easy to care for. The mattress cover is resistant to tears and pilling, and can be unzipped and removed for spot-cleaning. The mattress should be spot treated with mild detergent and then air-dried before replacing the cover back on the mattress. It is important to keep the cover dry. This cover is not meant to be machine-washed or machine-dried in case of shrinkage, which would prevent sleepers from getting the cover to fit properly again. Because the cover is made of a blend of nylon and polyester, it will dry faster than other fabrics. In addition, these mattresses do not need to be rotated, flipped, or aired out. It is recommended that sleepers use a mattress protector, too, and a mattress pad can also be used with these mattresses.